SBM Offshore is working on the two largest contracts in the history of the company. The contracts holds a total value of approx. 3,5 bn. dollars. SBM Offshore has chosen Blue Water as logistics provider for these two large projects and the two companies have previously collaborated on several projects. “It is always fantastic to secure a project from a client, but when it is a repeat project it is even better, as it indicates that you have performed well on the previous projects – and that we are doing something right,” states Thomas Bek, Global Manager Oil & Gas, Blue Water. The projects involves Blue Water Shipping’s offices in Shanghai, Singapore, Rio de Janeiro, Esbjerg, Amsterdam, Rotterdam and Marseilles. The scope includes transport by road, air and sea to the Far East and Brazil. It is Blue Water Shipping’s responsibility to ensure the transport of equipment and spare parts from all over the world to the shipyard in the Far East where part of the construction takes place. 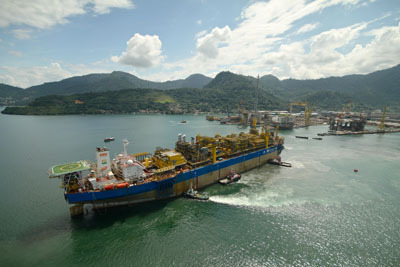 From the Far East, the FPSO will be sailed to Brazil for the finishing works and Blue Water Shipping will also handle delivery of components for the final part of the construction.